How do I leave a group as a student? If you are able to join a group in your course, you can leave the group at any time. You cannot leave groups that are not self sign-up groups. 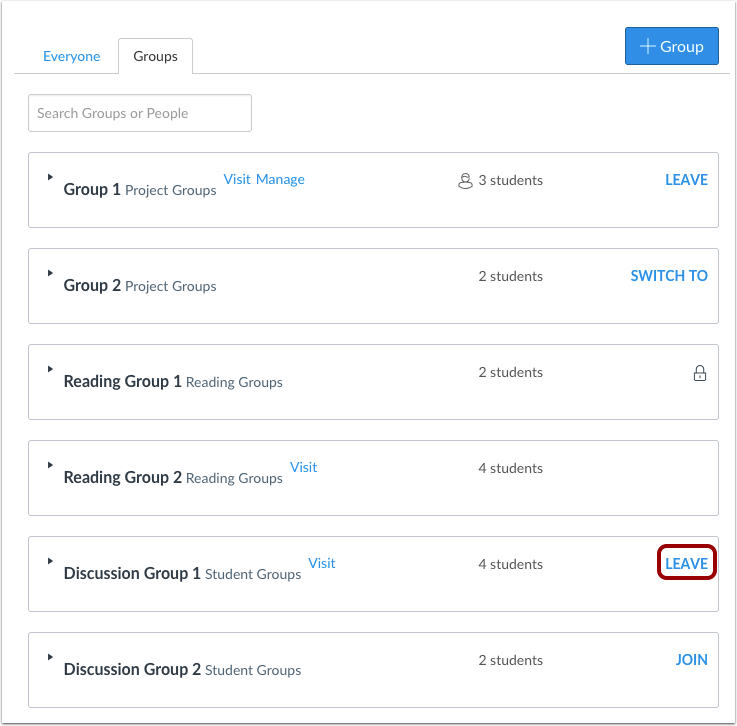 When a course is concluded, all associated groups will be shown as previous groups in your groups list. 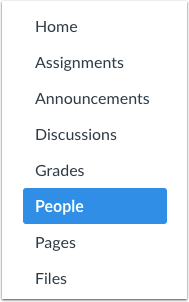 Next to the name of an available group, click the Leave link. A message appears at the top of your browser verifying you left the group. Previous Topic:How do I join a group as a student? Next Topic:How do I create a group as a student? Table of Contents > People and Groups > How do I leave a group as a student? How to hide old groups or move them from Current to Previous?